J Cole, the 1975, Chance the Rapper, Rita Ora, and 21 Savage all share this in common: great managers. Here’s how they met them. After a label deal with his own band didn’t pan out the way he’d hoped, Jamie Oborne went back to college and started his management career shortly thereafter. “I was having a conversation with a friend of mine about my band,” he explains to Music Business Worldwide in this wide-ranging interview. “We were talking about the music industry and why I felt that, perhaps outside of my own actions, my artist career hadn’t really worked out. 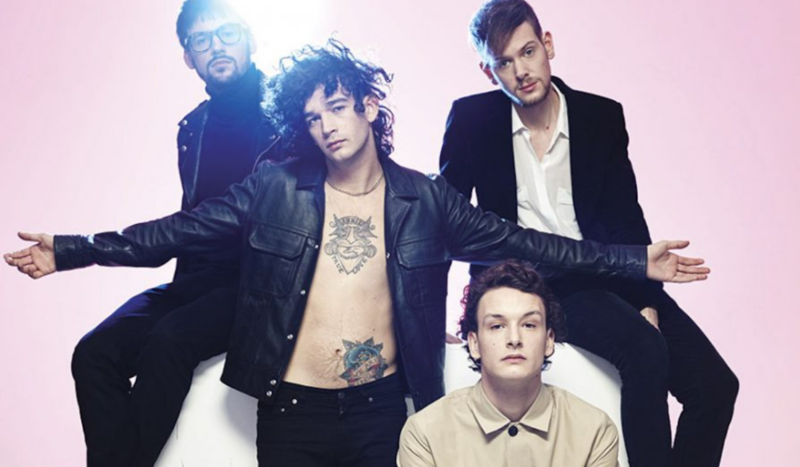 That night we decided to start a management company.” After gaining some moderate traction managing a handful of UK groups, Oborne was tipped off the to the 1975 via a message on MySpace from a fan of one of the other groups he managed. As was the rage in 2007, he hit the group up on the now defunct social network and the rest is history. In conversation with Complex during a Blueprint episode, Pat Corcoran remembers meeting Chancelor Bennett at an uneventful party in Chicago. That night, Chance spilled drinks on the floor, and Pat, still working for free for Vic Mensa’s band Kids These Days, thought little of their encounter. Fast forward to a listening party for Chance’s 10 Daymixtape, which Pat attended. Despite being blown away — “That’s when the legend of Chance started for [me]” — Pat didn’t plan on working with the young star. Only after more experience and repeated, random encounters with his future partner did Pat offer Chance his help, however he could. Finally, after a sit down with Chance and his dad, Pat received the green light. The rest is history. Rita Ora’s mother hustled an introduction to an already established Sarah Stennett in 2009 while her 18 year-old daughter was competing in the early stages of a Eurovision song contest. According to Stennett, Ora was worried that performing on a TV show would ruin her chances for a credible, long-term career, and was seeking advice. "We met in a café. She was sat at a table, chewing her hair," Stennett remembers in this 2013 Guardian profile. "I looked at her and felt immediately there was something about her. I said, 'If you can sing like you say you can, I'd walk out of that show'. She rang me the next morning and said, 'I've walked out'." Kei Henderson spent years studying the greats, working in media, and managing artists without making a profit. “Everything that I did was building my reputation, building my name and building my artists along the way,” she said in a must-read interview with Beats 1. Then came 21 Savage, and she was ready. “When I first met him, he only had one song, but that one song was incredibly hard. You could hear the rawness and pain in his voice.” Kei found in Savage an artist with starpower and a sound she could appreciated. After taking him on a 10-day tour, his unmatched energy and quick learnings sealed the deal.